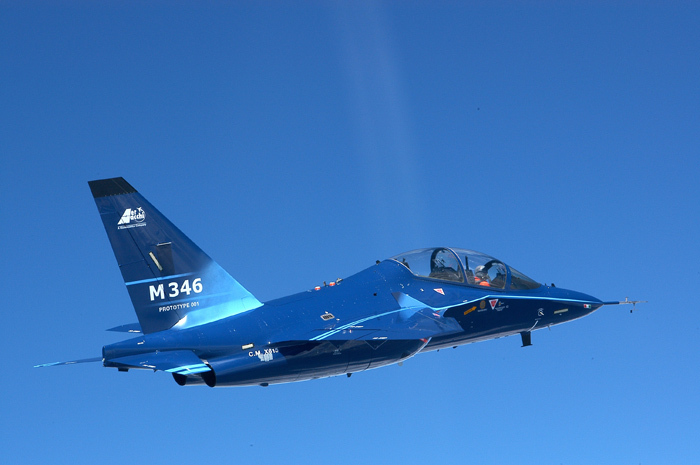 The M-346 is an advanced Lead-In Fighter jet trainer, developed by the Italian company Aermacchi SpA and the American company Lockheed-Martin. The Italian Air Force ordered 6 M46 trainers in 2009. The total amount is planned to 15 aircraft. The Israeli Air Force bought 30 M346 trainers with deliveries starting in 2014. DThe United Atrabian Emirates bought 48 M346 aircraft in 2009. Twenty of them will be delivered as light attack versions. In 2010 the UAE notified they were struggling with Italy and ware in negotiations with S-Korea for the T-50 trainer.